Hi there! 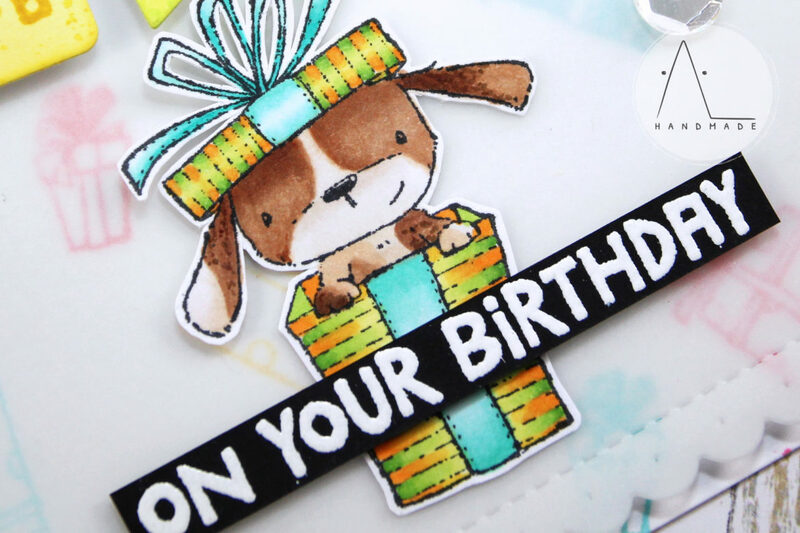 Today I’m back with a birthday project featuring lots of stamps from Purple Onion Designs. 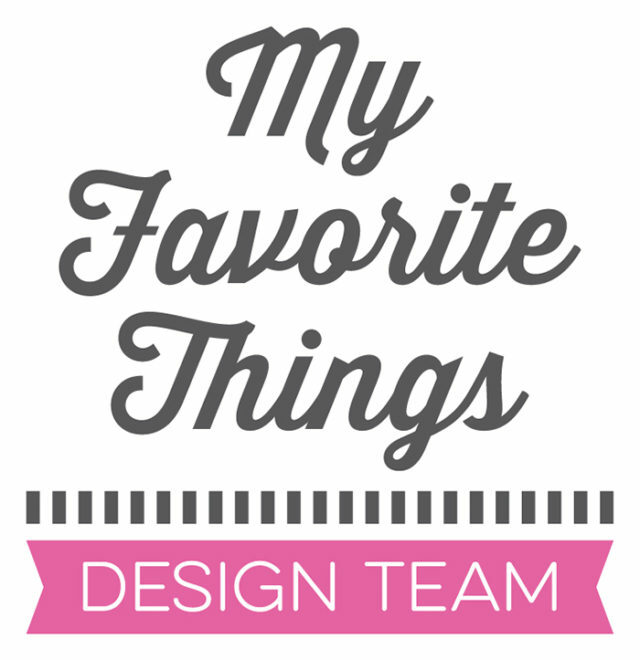 I’m definitely in love with Stacey Yacula Studio’s Collections – I think I could craft tons of awesome cards with her cute critters! For this card’s background, I stamped a gift pattern on my card base using Coral Berry dye ink, Warm Sunshine dye ink and Ocean Waves dye ink from Altenew. I stamped Elm with Memento Tuxedo Black ink and colred it with Copic markers. Once finished, I fussy cut him with my scissors. I die cut five tags off ink blended cardstock using Mini Tags – Creative Cuts from Mama Elephant and stamped the bold letters of my sentiment on each one of them (sentiment from Everyday Marquee Sentiment Set by Purple Onion Designs). Finally, I heat embossed the rest of the sentiment on black stripes of cardstock. 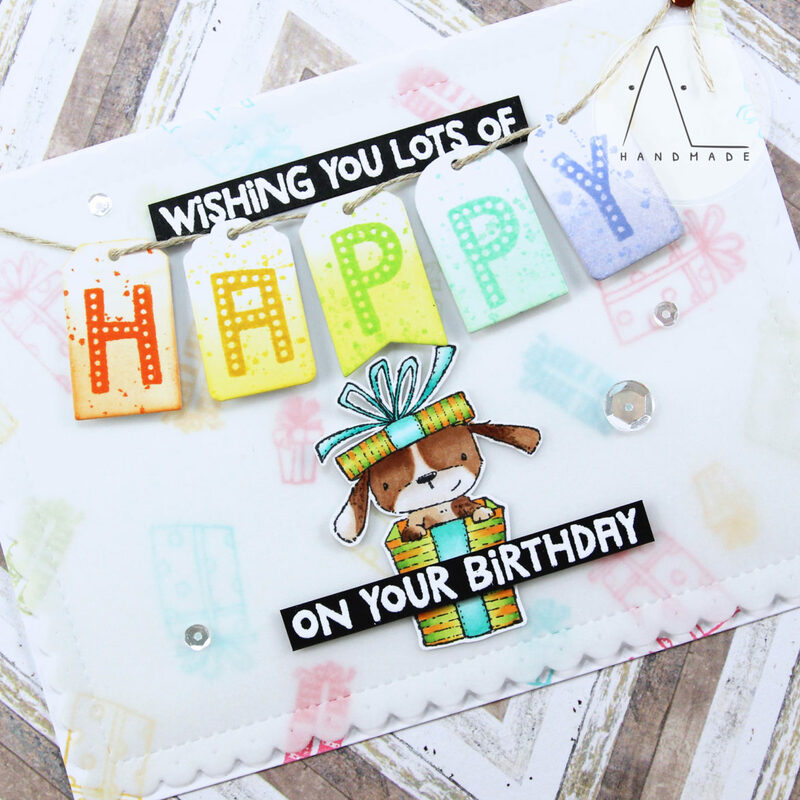 To finish, I mounted all the elements on my card base, to create a cheerful composition, and added some sparkling clear sequins as embellishment. Altenew Dye Ink: Coral Berry, Warm Sunshine and Ocean Waves.